Liver and gallbladder congestion is among the leading health problems, yet conventional medicine rarely refers to it. Someone you know, or probably even you, may have been asked to remove your gallbladder surgically when it has become inflamed or when stones had formed. This is a common mainstream medical solution, but it need not be so. The gallbladder is a small organ, but it has some important duties that help us digest our food in the best way possible. Nestled under the liver, it is a low-key powerhouse in breaking up the fats we ingest. Its main function is to store bile used for digestion, which is produced by the liver. When it is not actively being used for digestion, the gallbladder holds onto the bile and stores it for later use. Stones can form in the liver and/or gallbladder when things go awry, such as too much cholesterol or too many bile salts and other calcifications. These small stones form when bile in the gallbladder crystallizes, when there is more cholesterol than what the bile can dissolve. Gallstones can be caused by a high fat diet, obesity or taking hormone pills such as birth control. Often, a gallstone will go unnoticed until it gets big enough to induce symptoms in the body. When there is a sudden and intense pain in the abdomen that causes nausea or vomiting, or a sudden, intense back pain between your shoulders, you may have a gallstone problem. How Do You Know You Have Gallbladder Stones? Every person who has some kind of illness or disease has large number of gallstones in the liver and gallbladder. The liver is responsible for the growth and functioning of every cell in the body. Any kind of malfunction, deficiency or abnormal growth pattern of the cell is largely due to poor liver performance. Therefore, the root of most diseases can be traced back to a problem in the liver. By successfully doing a liver and gallbladder cleanse, you can restore your health and vitality, reversing diseases that would astound both conventional and alternative methods of treatment. These are some subtle but accurate signs that you have gallbladder stones, and they will disappear when stones are removed, and I don’t mean surgically! Brown or black patches of spots on either sides of the forehead, on the back between the shoulder blades, and on the back of hands and forearms. One or two deep vertical wrinkles between the eyebrows. These are not a part of aging but an indication of many gallstones in the liver. 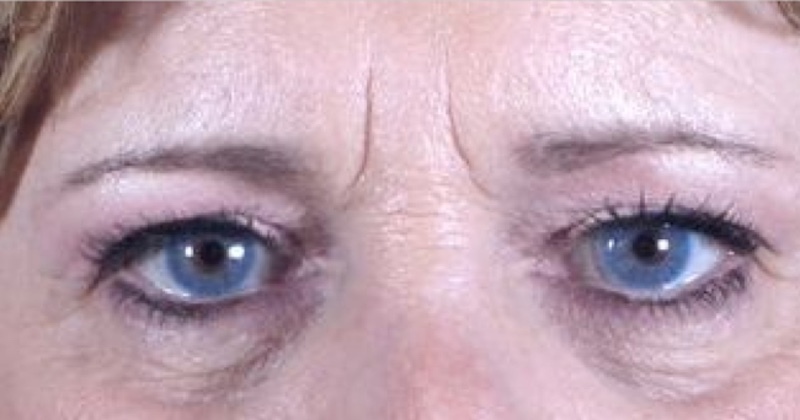 Horizontal wrinkles across the bridge of the nose. Green or dark color on the temple area at the sides of the forehead. Oily skin in the area of the forehead. Hardening and thickening at the tip of the nose. Water eyebags under the lower eyelids. Cataracts—a white cloud that covers the pupil of the eye. Pimples or cracks on the tongue. Bad breath and frequent burping. Dark spots or patches on the lips. Swollen, sensitive or bleeding gums. If you have already been diagnosed with gallbladder stones, or you know you have gallbladder stones, taking a “stone breaker” may help. Peru Chanca Piedra Stone Breaker 800 mg—remedy for treatment and removal of kidney and gallbladder stones. Once you are back to feeling fine, you should perform gallbladder flushes to flush out the balance of the stones, especially that your body has a tendency for stones formation. 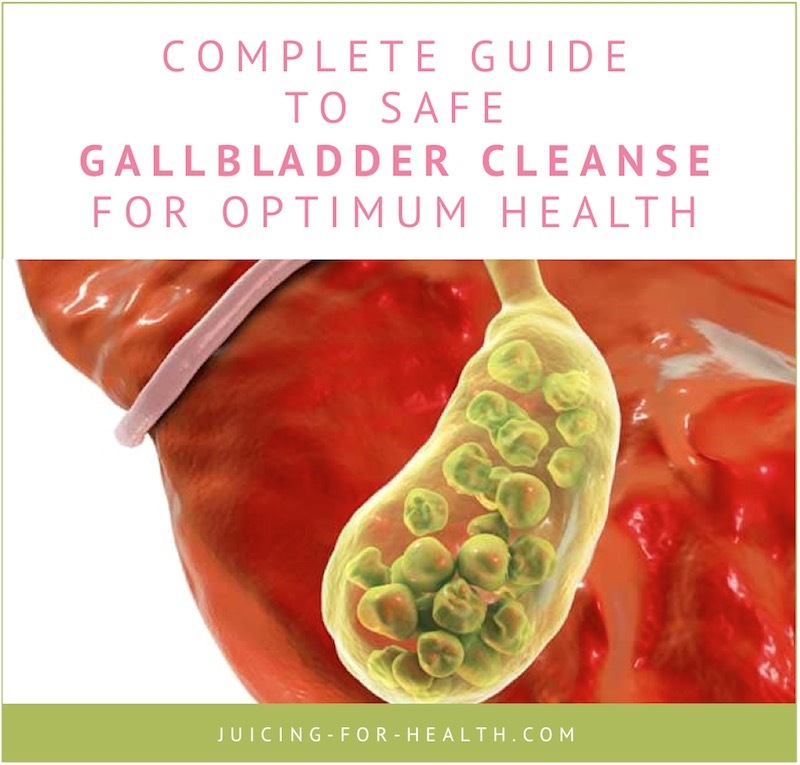 If your gallbladder has been removed, you can still do this gallbladder/liver cleanse as there is an even higher probability of stones accumulating in your liver, now that it can no longer accumulate in your gallbladder. My clients who have had their gallbladder removed and who did this cleanse, were able to purge out many stones. They have reported better health and energy level after doing this cleanse. 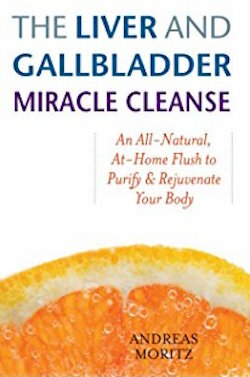 Don’t jump right into doing a gallbladder cleanse. Always do a full digestive system cleanse beforehand, to help move and clean out the bowels, so that when you do the gallbladder cleanse, the stones can be purged easily. A colon irrigation (hydrotherapy) or coffee enemas any day during the preparation week is helpful to minimize any discomfort and nausea that may arise during the cleanse. There are many different ways out there that people have found, that can flush out the gallstones, but only a select few are safe. The safest products to use will always be something that is natural, and that contains ingredients that you can pronounce. If you are not sure of the contents of a medication or chemical, don’t put it in your body! Typically a cleanse will take place over 6-7 days. If you’re unsure, it is best to consult a naturopath or a natural healer who will guide and coach you through the entire process to be sure you’re doing the flush safely. Epsom salt will help relax (dilate) the bile ducts to make it easier for the stones to be passed, so that you will feel less pain. And the olive oil helps to be as lubricant for the gallbladder stones to be easily passed. Malic acid in apple juice has a cleansing effect that will help to soften and break-down gallbladder stones for elimination. Drink at least 1 liter of freshly-extracted apple juice for 6 days prior to cleanse day. Spread the 32 ounces apple juice throughout the day—drinking them on empty stomach (30 minutes before food or 2 hours after food). If you find that the apple juice is too acidic for your teeth, drink it with a straw. Some people may experience bloating and diarrhea from the apple juice. If it becomes uncomfortable for you, dilute the apple juice with some water before drinking. During these prep days, keep your diet relatively low-fat and no dairy. Eat as much fresh fruits and vegetables as you like, with small amounts of lean meats. Avoid eating cold or chilled foods or beverages as they will reduce the effectiveness of the cleanse. On the day of the cleanse, plan to be at home as there will be a lot of “bathroom activities” and your body needs to digest and rest. Although the liver cleanse is effective at any time of the month, try to avoid doing the actual cleanse on a full moon day as your body may tend to hold more fluids in the brain and tissues than on any other days! A new moon day is the most conducive for cleansing and healing. Spread out and drink the 32 ounces of apple juice in the morning and finish the last bit by noon. Eat a small breakfast if you wish, with little to no fat such as cooked oatmeal or some fruits with yogurt/kefir (not cold), or steamed vegetables flavored with unrefined seasalt. Avoid any form of sugar, dairy products, animal protein or any fats to minimize any reactions during the cleanse. Fasting will give you the best results for a cleanse, so it is best not to eat anything from noon onwards, except for drinking plenty of water. Mix 4 tablespoons of Epsom salt in 24 ounces of drinking water in a jar and divide them into four 6-oz servings. 6.00 pm: Begin to drink a 6-oz serving of this mixture. It may taste bitter so you might like to drink it with a straw, to bypass the taste buds on your tongue. 8.00 pm: Drink your second serving of the 6-oz Epsom salt. 9.45 pm: In an empty clean jar, add the grapefruit juice (or lemon and oranges juice) and the olive oil. Close the jar with a lid and shake vigorously until the solution is totally mixed. Also, put a 6-oz glass of the Epsom salt water on your bedside table for the next morning. Thoroughly clear your bowels and get ready to go to bed. 10.00 pm: Drink the juice-olive oil mixture without stopping, while standing up. You may use a straw if it’s easier for you. Leave the glass on your bedside table and lie down immediately with an extra pillow to prop up your head so that the oil mixture will travel down the intestines by gravity. Stay still for at least 20 minutes. Take this time to meditate, pray, or fall asleep. During these 20 minutes, you may feel the stones traveling along the bile ducts on the way out for elimination. There shouldn’t be any pain because the magnesium in Epsom salt and olive oil keep the bile ducts dilated and relaxed. Should you feel the urge to purge during the night, do so. Use a colander to collect the small gallstones to keep count of the stones you eliminate. This is recommended so that you know how many stones are being eliminated. As you do more cleanses, you will know when the number of stones being eliminated is reduced, and when you can cease doing your gallbladder cleanse. In the night and early morning hours, you may feel nauseated as the detoxification is taking place. Do not get up unnecessarily, and the nauseous feeling should pass. 6.30 am: Drink your third 6-oz serving of the Epsom salt water. Sit up in an upright position. Read a book, pray or meditate. If you feel fine, some light exercises is helpful too. 8.30 am: Drink your last serving of the 6-oz serving of the Epsom salt water, followed by freshly extracted juices if you wish. As the morning progresses, you may start eating some fruits and light foods, carefully avoiding those foods mentioned above for at least another three days. All the while, continue drinking water. There may be a few more visits to the bathroom. By the evening or the next morning, you should feel normal without any more purging. Continue to eat light meals during the next 2-3 days. You will feel “lighter” and more energetic. You may have a few watery bowel movements on day of cleanse, and will purge out small greenish pea-sized stones in your stool. The stones are in different shades of green as they contain bile compounds. The light-colored stones are the newest, and the darker green stones are older. Also look out for pale-colored stones. 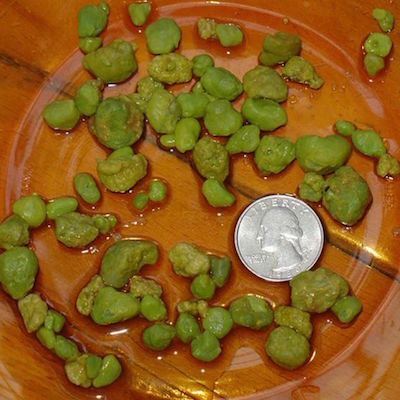 These are calcified gallstones and may be heavier and sink to the bottom. Some people may purge a multitude of tiny, white sharp-edged cholesterol crystals that could grow in the gallbladder and cause severe problems, if not eliminated. If you wish to collect these stones to keep a count, you may use a colander (that you use just for this purpose!) in the loo when you go. Wash away the feces with a bucket of water when you are done, and put the stones somewhere safe like in a jar with a lid. This way you can keep an accurate count as you continue to go to the bathroom or do another cleanse. Don’t be surprised if your first cleanse gives you a lower count of stones. Even so, most people will begin to notice improvements and less symptoms. There will be reduced pains, more energy, and with considerably improved clarity of mind. If within a few days or weeks, you feel some discomfort, it may be signs that stones from deep within the gallbladder have traveled down, ready to be removed with your next round of cleansing. The cleanse needs to be repeated every month until there are little or no more stones being eliminated. For some that may be 5 or 6 times, others may have to do it up to 8 or 9 times! On the second or third cleanse, your gallbladder will contract better and release more stones of up to as many as 100-300 stones. Once you start this gallbladder cleanse, you should repeat it every month, until you no longer pass stones. Leaving the liver and gallbladder half cleansed without further cleanse may cause greater discomfort than not cleansing it at all! I highly recommend that you get a copy of Andreas Moritz’s book on “The Liver and Gallbladder Miracle Cleanse” if you’re serious about giving your health a total makeover. I have read this book cover-to-cover a few times and still learn something new each time. The wealth of information you learn in this book is priceless! And the recovery you will experience will defy even your doctor! Before, during and after the cleanse, make sure you are drinking plenty of fluids and eating healthy. Include plenty of fruits, vegetables and whole grains to keep your fiber intake up. Meals like cooked oats, salads with quinoa protein or brown rice dishes will be a good way to get all the nutrients you need. Other beneficial super foods include broccoli, sweet potatoes, kale and eggs. Baking or steaming your food instead of frying it will also reduce the amount of fat you consume. Work to reduce the amount of fat in your diet to give your gallbladder a break and reduce the risk of gallstones. Eat your greens, skip the pastries and fast foods, and drink, drink, drink, for a healthy system. You can never go wrong with water, so stay hydrated to keep your digestive system happy and running smoothly! People who have recently had surgery should not participate in a gallbladder flush, as there is a much higher risk of complications because the body is recuperating and doesn’t need the added stress. Others who shouldn’t participate in a gallbladder flush are individuals under 18, when menstruating, feeling under the weather and women who are pregnant or nursing. Additionally, it is always smart to check with your healthcare provider to be sure you are in a generally healthy condition. can you participate if you had your gallbladder removed?? Yes, you should do this cleanse especially if you have had your gallbladder removed as there is a high probability of the stones accumulating in the liver when it cannot accumulate in the gallbladder. People who had their gallbladder removed have found this cleanse to be very beneficial. You said to repeat this process until the stones disappear. And that some people do this 5 to 6 Times. Does this mean this process can take up to half a year to complete ? That is correct. Some people may even take longer than 6 months. It is different for everybody. So not including the apple juice prep, the actual cleanse is actually performed for 1 day/night? Also do you suggest completing the entire 45 days of the gastrointestinal cleanse before starting the liver/gallbladder cleanse? Thank you. Hi Regina, you are right: not including the apple juice prep (which is very important! ), the actual cleanse is performed in 1 day/night. And yes, it is advisable to first do the gastrointestinal cleanse to ensure that the stones will be purged out effectively. Hi Sara, is it possible to use cold-pressed coconut or avocado oil instead of olive oil? Hi Ana, you may not get the same results using other oils. Olive oil is the best and safest for this purpose.